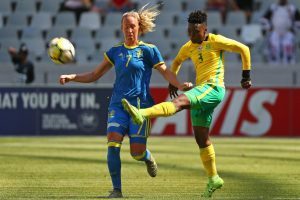 Football is the most popular sport in South Africa. In this article, we’ll go through the history of football in the country. Football was first brought to South Africa by British soldiers in the late 19th century. Only white players were allowed to play in official matches, which reflected the political situation in the country at the time. South Africa was one of the founding members of the Confederation of African Football (CAF) in 1956. The country’s apartheid policy mandated that South Africa could only send all-white or all-black teams to international competitions – there were no mixed teams allowed by the government. As a result, South Africa were disqualified from the inaugural African Cup of Nations in 1957, and a year later, formally expelled by CAF. In 1961, South Africa was suspended by FIFA, which meant it could not take part in any international matches or competitions. This lasted for over 30 years, until the fall of the old regime. After apartheid finished and South Africa was readmitted back to FIFA in 1992, a league featuring the country’s top teams was established in 1996. The national team qualified for the 1998 and 2002 World Cups and won the 1996 Africa Cup of Nations as talented players such as Lucas Radebe and Quinton Fortune made their names abroad. Then, in 2003, South Africa was awarded host rights to the 2010 FIFA World Cup, the first tournament ever to be held on African soil. Nelson Mandela, the father of the nation, spoke via video link at the opening ceremony and was also present at the final between Spain v Netherlands – it would turn out to be Madiba’s final public appearance as he passed away three years later. The tournament was won by Spain, although South Africa became the first host nation in history to fail to make it past the group stages.